This year, the fair has expanded to include a baking expo. In previous years, the goodies focused on just cupcakes.This year the expo will also feature cookies, macaroons, cake pops, and more! I'm excited for the cupcake eating contest! I hope I get to participate! 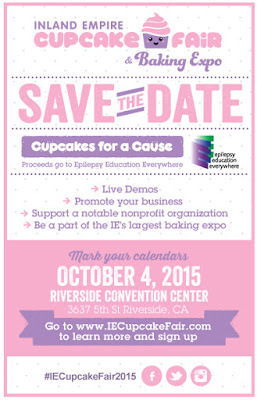 This year, proceeds from the Inland Empire Cupcake Fair & Baking Expo will benefit Epilepsy Education Everywhere - a local non-profit organization whose goal is to educate the public about epilepsy and provide resources for those living with epilepsy. ticket for a chance to win a free prize. an event tote bag with samples, coupons and more! 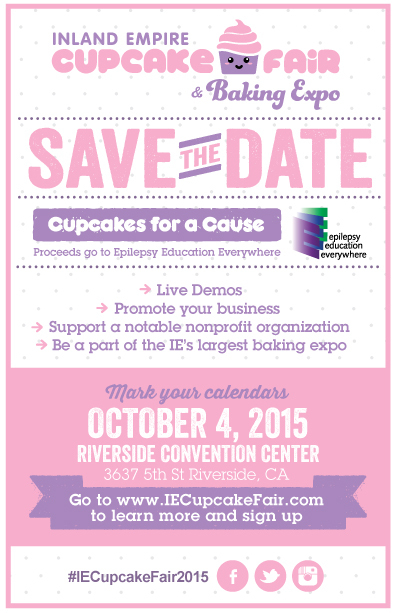 For more information, be sure to visit www.IECupcakeFair.com. See you there!